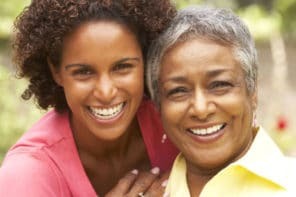 Having a good understanding of your older adult’s health conditions is especially important because they’re usually dealing with multiple health problems. As their health advocate, being crystal clear about what’s going on with their medications and treatments helps prevent serious complications or medical emergencies. We explain why not having a clear understanding can lead to problems and how to make it easier for doctors to help. We also share 3 tips to improve communication and understanding during your older adult’s doctor visits. Not clearly understanding information or instructions from doctors can lead to serious problems for your older adult – and you! Going back to the hospital for the same problem within a short period of time. Problems with medication because of wrong dose, wrong timing, drug interactions, or bad side effects. Having a medical emergency because early warning signs for a health condition weren’t understood. Not knowing how to properly use or maintain important medical equipment such as a pacemaker, defibrillator, or catheter. 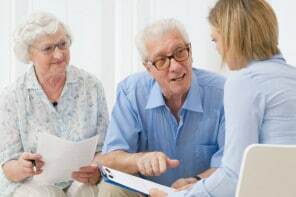 When you and your older adult visit the doctor, make sure you understand everything they tell you about their health and how to manage their conditions. If the doctor says anything you don’t understand, speak up immediately and ask them to explain using simpler terms. Don’t feel embarrassed – you didn’t go to medical school and shouldn’t be expected to instantly understand. Their job is to make sure your older adult gets good care. An important part of that is making sure you’re able to make informed decisions and follow through with their instructions. Make a list of problems you want to discuss. Make a list of your older adult’s symptoms or issues – when they started, when they’re worst, etc. Make a list of all the medications, vitamins, supplements, and over-the-counter medications they’re currently taking. If something isn’t clear, ask the doctor or nurse to explain it a different way, write it down for you, or use more common terms. For example, if the doctor prescribes a new medication, ask about common side effects or if it will interfere with other medicine. Another example is to ask how you would know if a treatment is working or not. If a problem or question comes up, call the doctor immediately. Don’t wait until the next appointment. Getting answers right away can prevent small problems from becoming big ones.